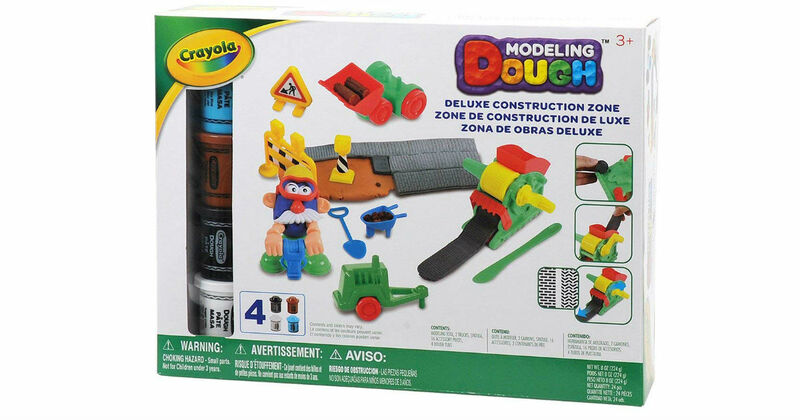 Score this 24-Piece Crayola Modeling Dough Deluxe Construction Zone Kit for only $8.41, regularly $24.99. Kit includes four 2-ounce tubs of assorted colored dough, 2 trucks, road Maker, Modeling tool and 16 assorted accessories! Crayola dough is a soft brilliantly colored non-toxic Modeling material.